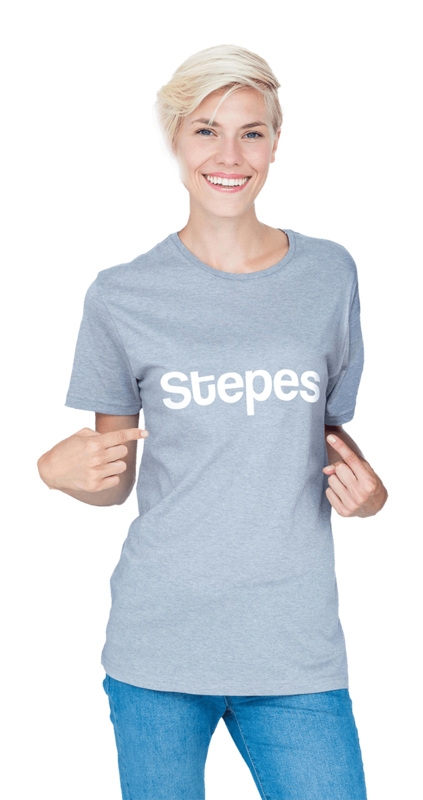 Stepes (pronounced /’steps/) – Your Premium Brand of Online Translations – 100+ Languages, Quality, Speed and Service. Enter text or upload files for an instant quote. Stepes delivers the fastest online translation services, allowing you to receive professional translations in minutes, literally! No other language translating agencies come close. Our game-changing mobile translator services notify our pre-approved linguists instantly of your translation requests and allow them to immediately translate anytime and anywhere, from both mobile devices or desktop computers. The internet has transformed many industries and demand for professional translation services is shifting online. Businesses now need leaner and more agile online translation services to meet their 21st century translation requirements. Next generation web-based language service providers like Stepes that combine quality translation services with process automation are poised to meet this growing translation demand. On-Demand & Fastest Service, Mobile Enabled! Your international business expansion depends on quality translations at fast speed. Stepes disrupts the old localization models by transforming professional language services onto a fast, easy, and affordable online translation platform. Simply upload your documents, monitor progress, and download your translated files on-demand, anywhere and anytime. Take your global Stepes by harnessing the power of our expert online translation services and achieve big multinational success. No matter what your business is, getting enterprise translation services with fast turnaround can be challenging. However, Stepes’ web-based and AI-powered translation automation technologies are redefining professional translation services. Stepes disrupts traditional business translations with our online solutions across all content channels and devices to help thousands of companies around the world accelerate international growth. We have the linguistic resources and technological infrastructure to build custom, tailored online localization solutions to meet all of your language services needs for today and the future. Stepes is a leading online translation company providing global enterprises with quality translation services around the clock and the world. We’ve simplified the process by automating every step of the localization cycle (file analysis, quotation, translator assignment, linguistic review, job delivery, invoicing/billing, reporting) to deliver the best customer experience. Our online localization ecosystem is designed to ensure the most efficient execution of your translation projects with quality and agility. Offline localization processes involve too many human touch points, resulting in lost translation efficiency and, all too often, missed project deadlines. By removing many of these costly human touch points, we’re able to deliver one of the most efficient and affordable translation services to our clients. Stepes is more than just an online translation service, it’s also the world’s first mobile translation solution allowing our large network of linguists to be instantly notified of new project requests. This enables them to immediately translate anywhere, anytime through their smartphones or computers. Stepes delivers a variety of real-time translation services with the fastest turnaround times within the localization industry. Stepes’ process automation is NOT about using machine translation (MT) to deliver language translation services. Instead, our cloud-based online translation ecosystem automates many of the human touch points associated with legacy offline solutions so we can provide you with fast and affordable translation services without sacrificing language quality. Automatically extract text to translate from your PDF and Word files. Preparing files for translation estimates and creating transcripts takes time and can add to the project’s cost. Stepes automates these localization steps so you get a fast, affordable service. Get instant estimates so you never have to wait to start your translations. Don’t put up with vendors who can only deliver your translation quote in 24 hours or longer. Your business needs instant translation estimates because the digital economy demands it. Stepes instantly notifies our dedicated linguists so no time is ever wasted. Manual translator assignment is time consuming and repetitive, resulting in lost project time. Our auto-provisioning ensures the right translators are always selected right away. Say goodbye to manual reports with Stepes real-time project updates. It’s hard to track real-time progress if you have to rely on manual weekly updates. Gain complete transparancy of your translation progress with Stepes live project tracking dashboard. No more file transfers with emails or FTP’s, embrace our click-download simplicity. Free yourself from outdated file deliveries via emails that are hard to keep track of and manage, or FTP transfers that demand specialized tools and complicated logins. Manual invoicing is labor intensive. Gain productivity with Stepes’ hassle-free billing solutions. Preparing and submitting project invoices is tedious which is one reason why offline translation suppliers are so expensive. Stepes automated billing solutions change the game. As a web-based translation solution, Stepes allows you to easily obtain up-to-the-minute project status 24/7. Simply log into your project dashboard to track translation progress for each target language. Since Stepes is a mobile centric translation ecosystem, you can track the progress of your projects anytime and anywhere using your smartphone in addition to the web browser. No other online translation services company comes close to giving you so much control and flexibility for your translation projects. Stepes is a highly transparent system so you not only can view the percentage of words translated at any time, you can also see and interact live with translators working on your projects. Our unique transparent project management approach drives translator performance and accountability, and ensures better and more proactive communication. At the end of each project, you can rate your translator’s performance to help ensure quality. With MyTranslator, your ratings help us to build you a dedicated linguistic team for continuous quality and language consistency. Simply visit our New Project page to upload files or enter text you need translated to obtain an instant quote online. Once you approve the project, our pre-approved linguists are instantly assigned to work on your translations. Upon completion, simply download your translated files. Compared to offline translation services, Stepes online model enjoys many important advantages, especially in today’s fast-paced digital economy. The Internet is transforming and many industries and companies now need modern, agile solutions to meet today’s digital economy requirements. By moving translation services online, Stepes has been able to provide global enterprises with simpler, leaner localization project executions in over 100 languages so our clients get what they need translated easily and affordably. Our online translation services are built for live, 24/7 operations and provide the fastest turnaround times by eliminating many of the bottlenecks associated with old-fashioned translation solutions such as off-line emails, manual project management, and static terminology management. Our online solutions are able to notify our translators instantly and allow them to translate anywhere and on all devices for the fastest delivery. Stepes online translation solutions can be deployed in minutes and scale rapidly to meet the demand of our clients’ increased language translation requirements. Companies no longer have to go through complicated contract negotiations and wait forever for the translation vendor to ramp up support to meet volume requirements. Stepes online translation services automatically scale to meet our customers’ language services needs anytime. 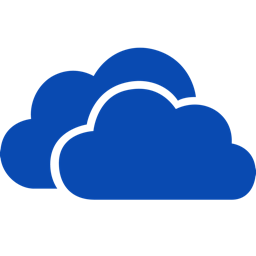 Our translation memories (TMs) are stored on the cloud and centrally managed to ensure worldwide access, around the clock. Legacy translation leverage, TM updates, and translation memory searches can be performed in real time, anywhere and anytime. Cloud translation memory management delivers unrivaled speed and project efficiency, leading to better linguistic consistency at significantly reduced translation costs. Online translation capabilities are the prerequisite for truly automated translation services that are rapidly becoming the standard for today’s agile, always-on enterprise translation requirements. Stepes AI powered, fully automated online translation services are deployed on all devices and deliver the best-in-class language solutions that help our clients to get ahead faster in global markets. Terminology errors represent over 70% of all translation quality issues. By moving terminology management onto the cloud, companies ensure the latest terminology translations and updates are instantly captured and always available to all linguists across all content types to ensure the most consistent and accurate linguistic quality on a continual basis. Terminology management conducted using static, offline approaches often leads to inferior linguistic quality.